If you are a part of the natural living world long enough, you’re sure to come across the facial cleansing method known as the oil cleansing method (OCM). I first started reading about it years ago and was immediately intrigued. I read many testimonials of how it left skin glowing and even cleared up acne. Sign me up! This is an unedited iPhone picture taken right after using the oil cleansing method. The oil cleansing method is just what it sounds like. You cleanse your face with oil. The idea is that like dissolves like. Therefore, when you cleanse your skin with oil, it dissolves all the oil that may have hardened with other impurities and is clogging your pores and you wipe it away. Instead of stripping away the natural oils that your skin needs like many commercial cleansers, it balances your oils. Because of this, it works for all skins types: oily skin, dry skin, combination skin, and even acne-prone skin! 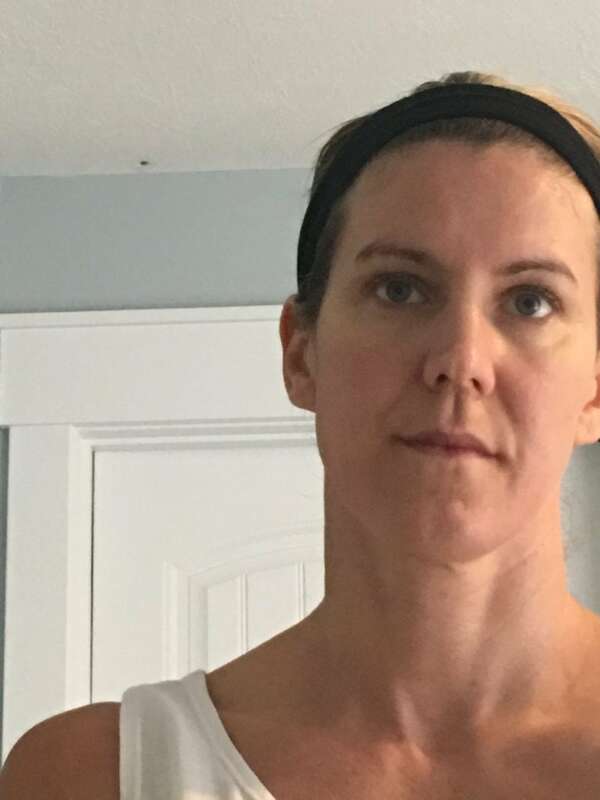 My only reservation was that you had to make your own concoction of oils and many reported it took time to find the right combination of oils and how using too much of one oil or not enough of another could lead to a facial disaster. That part turned me off. So I moved on from the idea of using the oil cleansing method and continued my search for natural personal care products that I could cleanse my face with. Through the years I tried many different natural face cleansers. A few years ago I told you about how much I loved doTERRA’s cleansing line. Then, earlier this year, a friend contacted me and let me know she’d started an organic skincare company. I was hesitant to even try something new since I’d finally found a natural skincare line I loved, but then I read more about her line and saw, sure enough, it was the oil cleansing method! 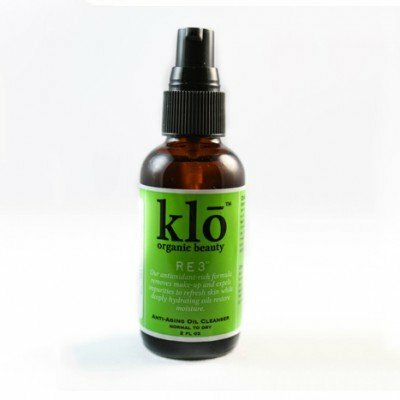 Klō Organic Beauty takes the guess work out of using the oil cleansing method. There’s no need to seek out different oils and try to get the combination just right. 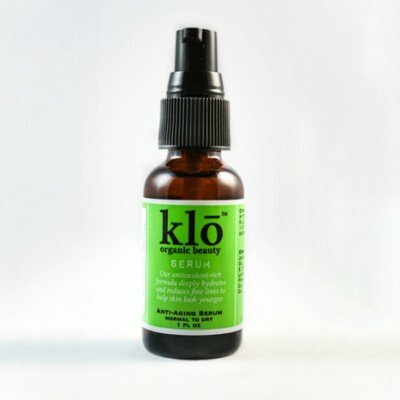 Klō Organic Beauty has an oil cleanser that’s perfectly formulated for your skin type. All of the ingredients are natural and organic. I was ready to try it. I started trying the oil cleansing method using Klō Organic Beauty products in March, so I’ve been using it for about seven months at the time of this publication. I loved the experience so much I totally ditched my formally beloved doTERRA skincare regimen in favor of the oil cleansing method with Klō products. Confession: I’ve always been jealous of women with naturally radiant, clear skin. That’s never been me. I’ve had sensitive, problem skin my whole life. That’s probably why it was so difficult for me to find a natural skincare line that worked well for me. My skin is dry, yet I started getting breakouts as a teenager and it continued into my adult years. To say my oil was never balanced is an understatement. I feel like the oil cleansing method has totally changed my skin for the better. My skin no longer feels dry and tight after cleansing or after a shower. Before the OCM, I had to use a moisturizer immediately after cleansing or showering. Now, I use the serum after cleansing in the evening. After showering or rinsing my face in the morning (I no longer need to cleanse my face in the morning), sometimes I will use the serum, but I don’t need any additional moisturizers. My monthly breakouts are mostly gone. I had hormonal breakouts every single month before using the OCM. Now, I rarely get a pimple on my face. This has been the greatest benefit! My skin tone is more even. Before using these products, I struggled with red cheeks (possibly rosacea?) and I never felt comfortable going out without wearing makeup to make my skin look better. This has been greatly improved. Now I routinely don’t wear foundation and feel totally confident. Don’t get me wrong. I love makeup and will always wear it, but it sure is nice knowing I don’t need it every single day. 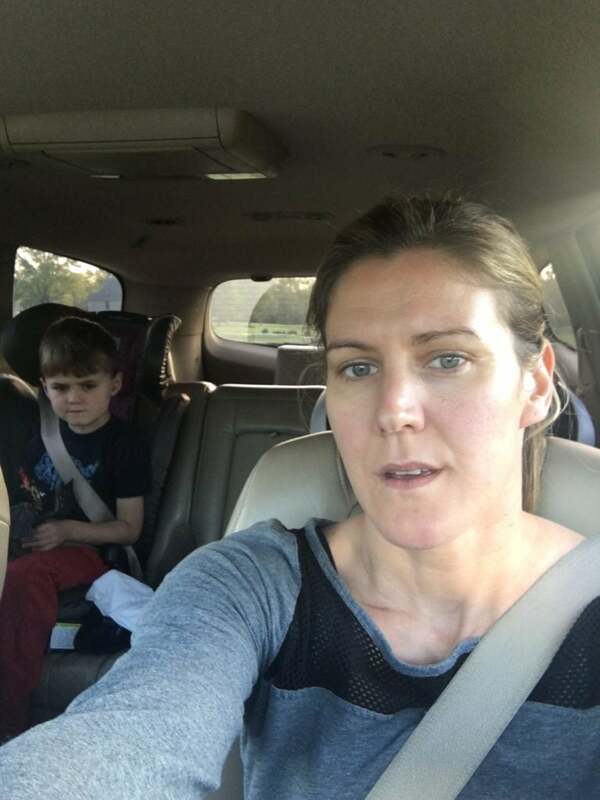 Here I am taking Luke to school with no makeup on. This is totally unedited, no filters, straight from my iPhone camera. (The scowl on his face in the backseat is cracking me up!) Now, my skin is far from perfect. I’m not going to become a skin model in this lifetime so this picture might not seem impressive in the least. I just want to emphasize how before using the oil cleansing method I wasn’t able to confidently go in public without makeup. My skin, even though it’s still far from perfect, is so much better now. The title also says younger skin. I can’t really say if my wrinkles or fine lines are lessened in the seven months I’ve been using the oil cleansing method. I should have taken a close up before picture, but at that time I wasn’t really thinking about this post, you know what I mean? I do know my skin is softer and more glow-y. The ingredients in these products are formulated to fight aging skin and I’m happy to do it naturally. Last week, someone guessed my age was 34 and I’m actually 38, so there’s that. If you want to try the oil cleansing method, you can tinker with making your own oil blend for cleansing, or you can use proven products from Klō Organic Beauty . It’s a no-brainer if you ask me. 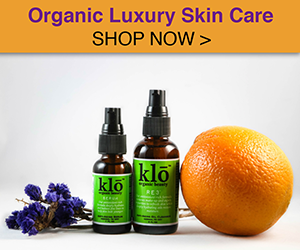 Klō Organic Beauty has two products that have a permanent place in my skin care routine. I’ve been so happy with these products I knew I had to share them with you. The founders of Klō Organic Beauty sought out the absolute best ingredients for your skin. Whatever you put on your skin is absorbed into your body. It’s important to choose your skincare carefully. Klō has no toxic ingredients or harsh chemicals. The oils they use are organic, unrefined, food-grade, and non GMO. Everything they make is handcrafted in small batches and packaged in amber glass to maintain the life and integrity of the oils. All of the products are tested on their loved ones, never animals. If you’d like to see the oil cleansing method in action and decide if its for you, please watch this video that shows Nicole, one of the founders of Klō Organic Beauty. The oil cleansing method is such a relaxing when to end my day. I actually look forward to cleansing at night! I love sharing natural products with you that I have tried and love. Just a heads up, the links in this post are affiliate links. That means, at no extra cost to you, that if you purchase through these links I will receive a percentage of the sale. I only recommend products that I truly believe in. Thank you for supporting Happy Healthy Mama! I think you described my skin perfectly above. 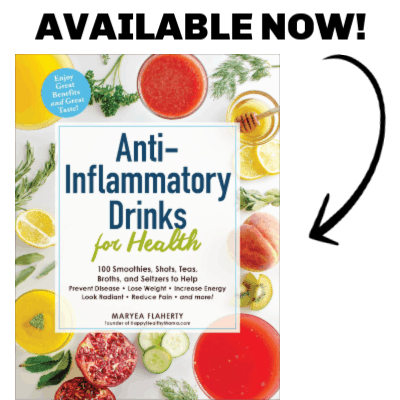 Just ordered – I’m SOOOOO excited to try this! Yay! Just sent your package out today, Heather. You will love it. I am loving it already Nicole!! No breakouts so far and I have VERY sensitive skin. Going to order the one for normal to dry as well – my skin seems to change with the seasons. I hope you have the same amazing results that I have!